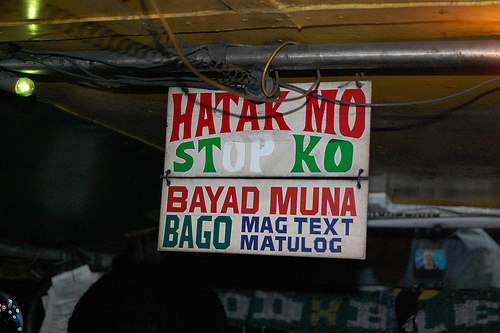 Jeepney is the most common transpo in the Philippines, its like there's 1 jeepney for every 20 filipino (1:20). 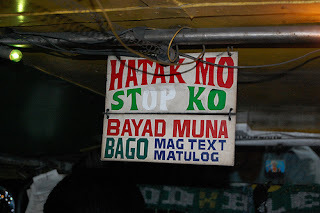 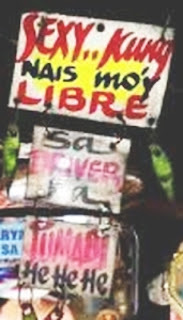 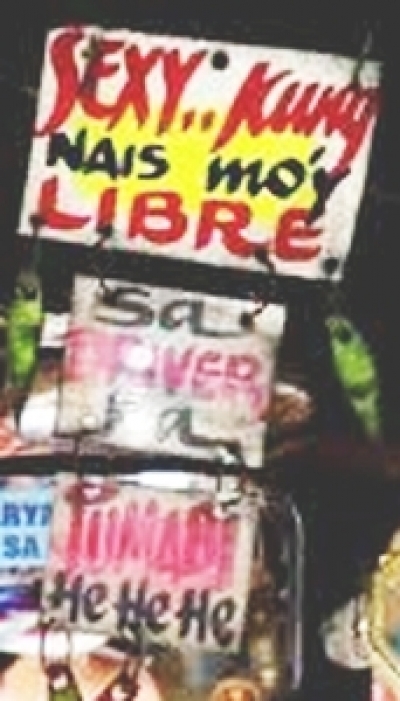 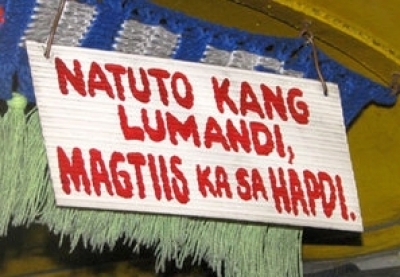 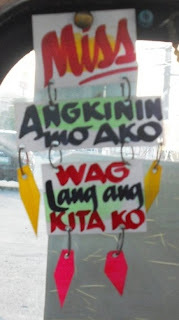 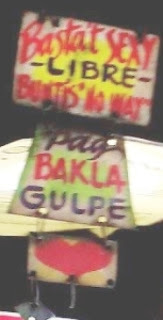 In a busy street in Metro, you can see them everywhere, hate them or love them but one thing that makes Jeepney fan to ride is their unique Sign Boards that you can find inside the Jeep. 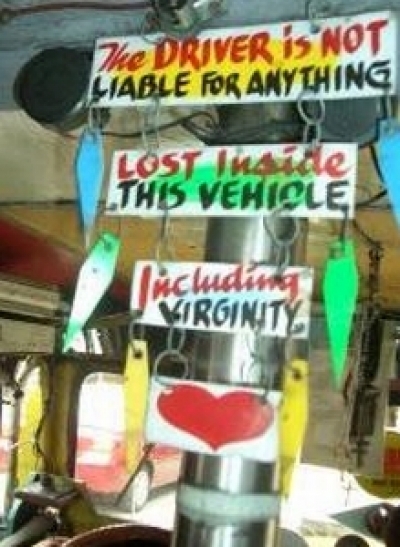 It's usually posted on the back of the Driver seat where all passenger will sea it. 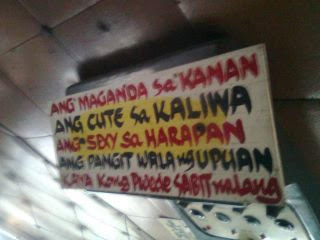 If you feel bore and nothing to see during your ride, you can check some of their sign boards to make you laugh a bit. 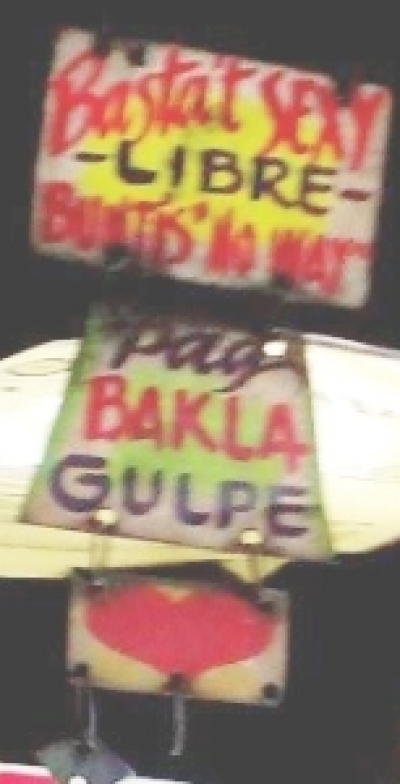 "pull it and I'll stop.. "
"Miss take me yours But don't take my money"